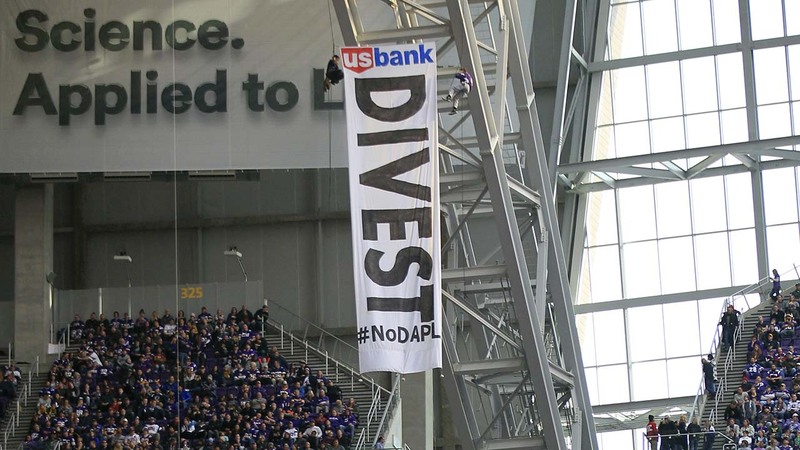 MINNEAPOLIS, Minn. -- Protesters trying to stymie the Dakota Access oil pipeline unfurled a huge banner inside U.S. Bank Stadium during the Minnesota Vikings' season finale against the Chicago Bears. 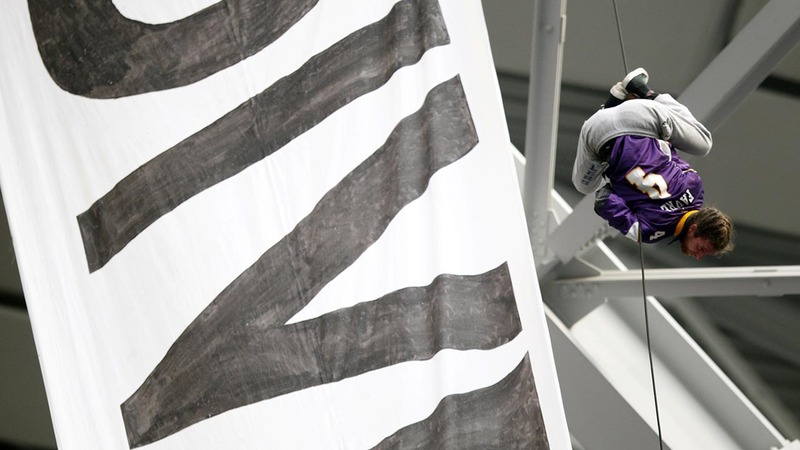 Play was not interrupted on the field during Sunday's game, but eight rows of fans below the banner were cleared as a precaution. In a statement, stadium operator SMG says two people climbed over a guard rail to access the ridge truss. 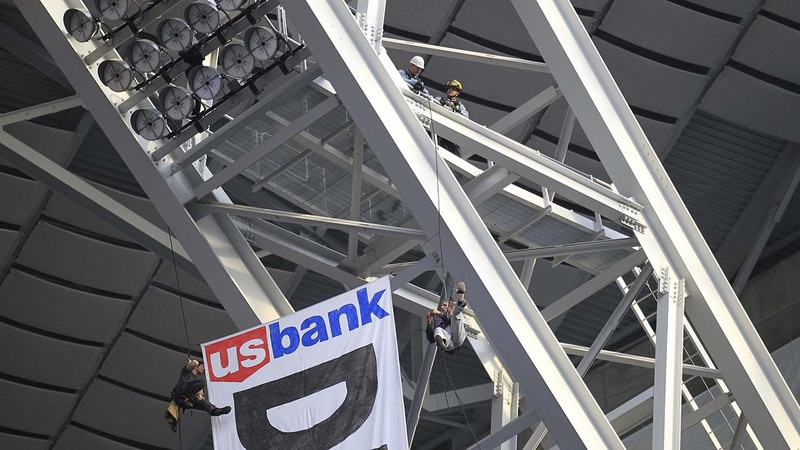 Police are negotiating with the protesters to come down, and about a half-dozen police and firefighters in rappelling gear were seen on the truss, waiting to remove the protesters. Vikings spokesman Lester Bagley says the team's only concern is ab! out the "safety of our fans and guests." 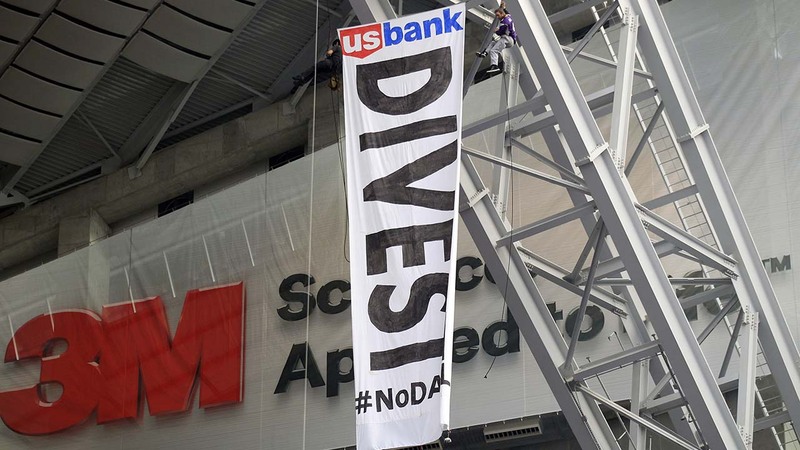 The pipeline is would carry oil from western North Dakota through South Dakota and Iowa to Illinois where it can be shipped on to users. 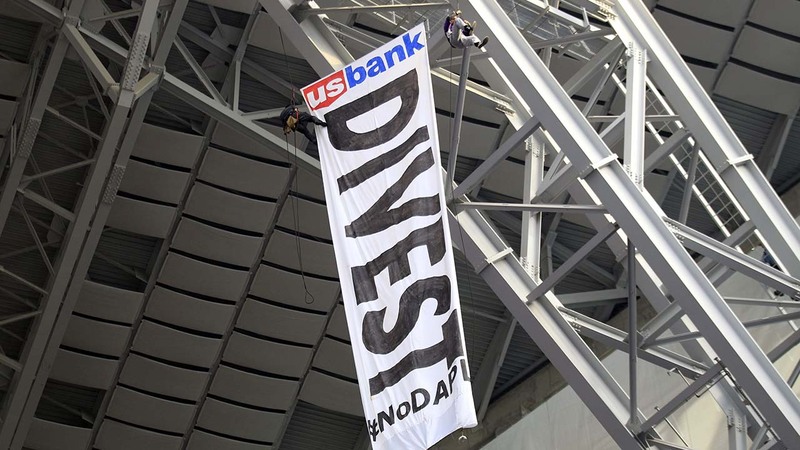 Protesters camped in North Dakota for months to try to stop completion of construction.